"Painting Done Right!" is more than a slogan for us - it is our commitment to provide the best quality and craftsmanship to every painting project we complete. "Detailed Preparation Produces Quality Results" We are a locally owned and operated company with 10+ years of industry experience. The main goal at McVey Paint and Wallcovering, Inc. is to create a safe working environment while achieving the highest quality paint or wallcovering job to ensure customer/contractor satisfaction. Locally owned and operated, we perform many levels of building and remodeling. We offer a variety of solutions for every project. We specialize in interior or exterior home renovations, including bathroom and kitchen remodeling, home additions, garages and more! We also specialize in Make Ready properties for investors. We guarantee high-quality construction for each and every project. We are fully insured for your confidence and peace of mind. 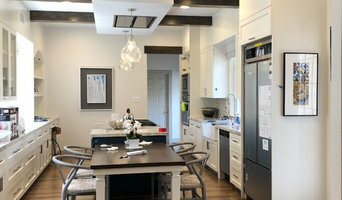 Check out samples of our recent work, and call us for your next renovation project. We provide painting and staining services to make your house into your home. We can do interior and exterior work along with specialty finishes. We do faux finishes, texturing, repair work and multiple methods of painting. 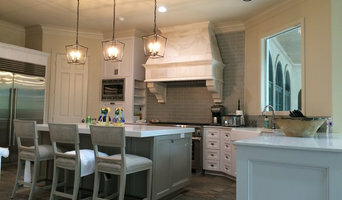 Fresh Coat of Cinco Ranch & Sugar Land offers a wide range of interior and exterior painting services, and we approach every project with the top level of professional painting craftsmanship. With years of experience, you can count on our reliable painters to deliver the highest quality painting for homes, small businesses, and individual projects. It was fate that brought James to Houston, TX in 1999. 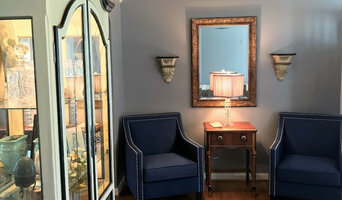 Despite graduating from a small Louisiana school in 1993 eager to enter the workforce doing Residential and Commercial Remodeling across Lafayette, Baton Rouge, Exxon Refinery for over 8 years and then pursuing new endeavors in Texas I quickly identified the philosophies that would define Gentle Touch Services Always do right by the customer. Never forget why you're in business in the first place. No matter what it takes, leave your legacy Build life long partnerships. 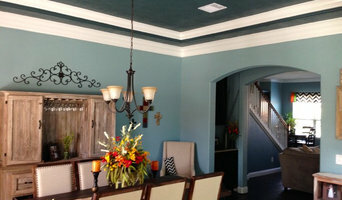 With over 25 combined years experience in residential, commercial, and industrial painting maintaining customer service excellence, great quality, 3 - 5 year warranty, and a great value we want the opportunity to be your partner for all your interior / exterior painting, pressure cleaning, roof cleaning, and more whether for home or business let us put the "Gentle Touch" to your project and restore its valuable appearance and curb appeal. Removing wallpaper is never an easy job, but sometimes your home just needs a fresh start. Whether you’re considering a different pattern or giving your walls a new coat of paint, you can save a lot of time and energy by finding a professional in Houston, TX who knows how to remove wallpaper properly. Why should I hire a Houston, TX wallpaper removal service to do the work? While some people might try to do it themselves, there’s no quick or easy way to remove wallpaper. So if you want to spare yourself the extensive effort and protect against potential mistakes, hiring a wallpaper removal contractor in Houston, TX is a wise choice. There are multiple steps required to get your walls clear again and different processes must be followed depending on the circumstances. To ready your walls for new paint, they’ll need to be stripped of paper, the paste and backing will need to be carefully scraped off and finally the walls will need to be sanded down. It takes some experience to know how to proceed depending on whether your walls are plaster or drywall, what type of covering you have and simply how it happens to behave. Working with a local wallpaper remover in Houston, TX will help ensure that the process goes smoothly, so you’ll have a lasting investment. Before your appointment with a Houston, TX wallpaper contractor, try to determine what type of walls you have as this will impact how the pro goes about the job. In general, homes built 50 years ago or more have plaster walls, while homes built in the past 50 years are made of drywall. You should also move loose objects out of the room or rooms being worked on, and either move or cover any furniture. Many companies will offer a free online or in person estimate before removing old wallpaper, so you should ask about this service before beginning the project. While it can be hard to know where to begin, a professional should know the best way to remove wallpaper under a variety of circumstances, so you can be confident in the project going forward.